Deerpath Farm’s breathtaking beauty owes much to persistent restoration and management efforts. 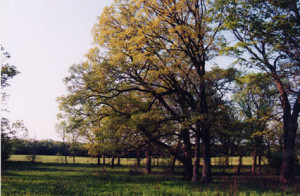 The landscape here includes rare oak savannas, woodlands, prairies, and wetlands. Our residents contribute in many ways – both passively and actively – to the overall conservation efforts at Deerpath Farm. Each homesite contains a natural landscape buffer primarily dedicated to native trees and plants. 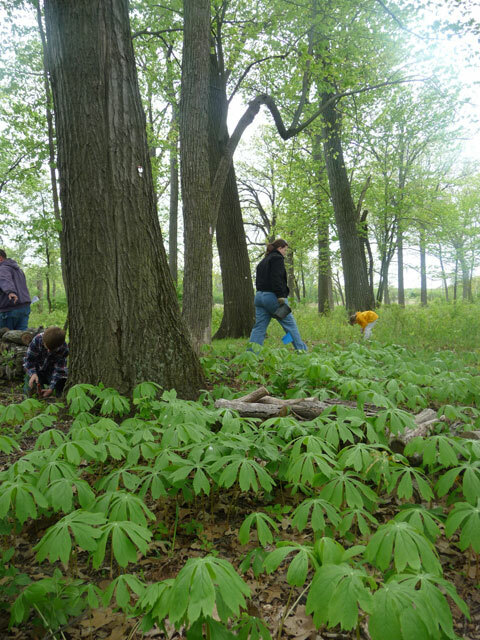 In addition, some residents have chosen to restore some or most of their property to a native landscape, and/or donate individually to The Preserve. Nearly 1/3 of our homeowners have been certifed by Conservation@Home, Conserve Lake County’s eco-friendly landscaping program (look for the yard signs). Most importantly, each homeowner contributes monthly dues into the Preserve fund, enabling LFOLA to continue its important restoration and management work. 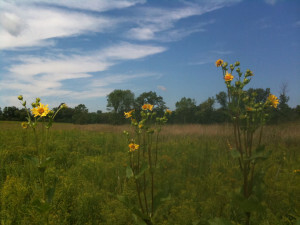 The wetlands at Deerpath Farm provide an ecologically rich habitat and natural flood protection. It’s an award-winning achievement: the century-old drain pipes were replaced with an finely-engineered system which integrates the land’s curvature with restored wetlands and new drainage ponds. The wetlands absorb water, filter it, and slow the rate of its release along the watershed. As many residents can attest, Deerpath Farm’s roads remain passable during road flood conditions in other nearby areas. Lake Forest Open Lands Association cares for The Preserve at Deerpath Farm. LFOLA holds the 140 acre conservation easement, and manages the property using funds provided via monthly homeowner dues. Deerpath Farm represents LFOLA’s largest managed property. Volunteer workdays co-hosted with LFOLA and Mettawa Open Lands Association have also been an important part of restoration efforts. Our valuable volunteers, both children and adults, have helped to cut buckthorn, disperse wildflower seeds, pull garlic mustard, and relocate May Apples and Sedges to conservation areas. Please contact us if you or your group would like to participate in a workday at Deerpath Farm.